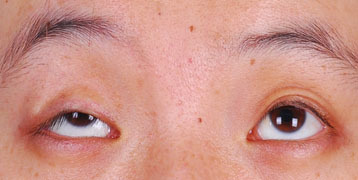 Ptosis is defined as drooping of the upper lid, partly covering the pupil. 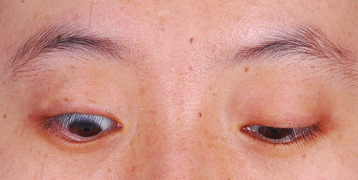 Ptosis causes a tired, sleepy appearance and reduces vision. 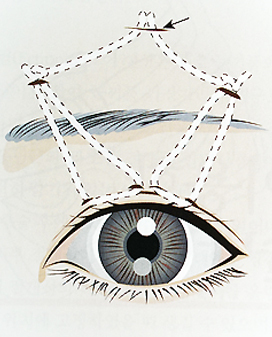 The most important thing is analyzing if it is real ptosis or just sagged eyelid. time. 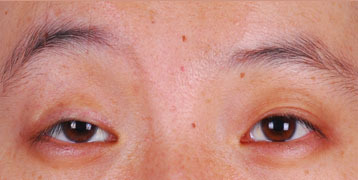 But if ptosis correction is done separately, it can make very strong and unnatural impression. 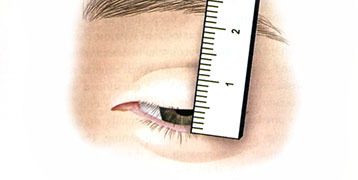 Diagnosis of ptosis It is very important to analyze real cause of ptosis. Sagged brows can be look like ptosis as well. In that case forehead and brow lift need to be performed. But if ptosis correction is done instead of brow lift, appearance of eyes will be unnatural and strong. predict the surgical result. It is complicated operation. 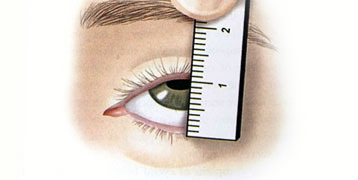 Ptosis is defined as drooping of the upper lid.Partly covering the pupil. try to compensate droopy eyes for raising brows. trying to open eyes wide. it can be corrected with connect elevator to tarsal plate. 03.Used antibiotic and steroid eye drop for 4 times a day.